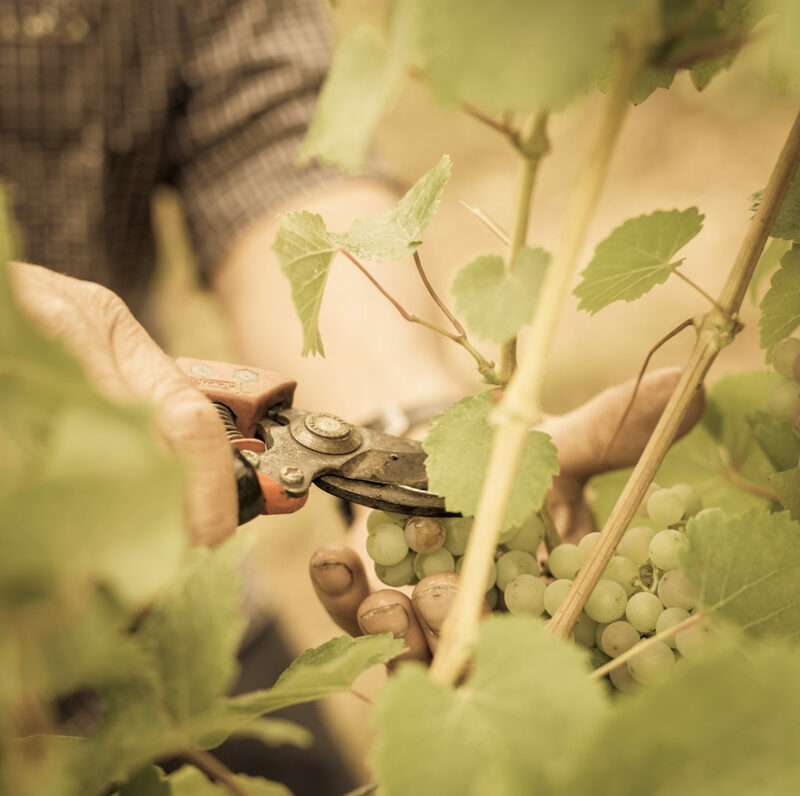 It is mid‐October and the harvest is already almost over, which proves not only how early it was this year but above all the excellent conditions under which picking took place! The climatic highlights of the year can be summarised as follows. 2009 was yet again a precocious vintage. Although budburst on the vines was late, due to severe cold weather during the spring, flowering took place earlier than usual, in early June, thanks to a rapid rise in temperatures during April and May, and went generally well, as did berry set. This advance of two weeks compared to the normal season continued despite a rather damp July. A very hot and very sunny August ripened the grapes perfectly. For AOC Crémant d’Alsace: Monday 31 August. For AOC Alsace and for AOC Alsace Grand Cru: Monday 14 September for all classified vineyards except Kaefferkopf, Bruderthal, Altenberg de Bergheim and Kanzlerberg. For the specific categories of late‐harvest Vendanges Tardives and Sélections de Grains Nobles: Monday28 September. September days were very warm but the nights were much cooler, especially towards the end of the month, enabling full ripeness to be achieved while preserving essential aromas. The absence of any significant rainfall caused a slowdown in maturity in certain vineyards with lighter soils, and even isolated cases of hydraulic stress. The excellent healthiness of all grape varieties was particularly noteworthy, and most growers admit they have rarely seen that before! Consequently, although harvesting was completed relatively quickly, it was done “à la carte”, and with patience it was possible to pick each parcel at perfect maturity. Once again the Crémants d’Alsace were particularly successful. There was no problem of coulure in 2009, so Muscats are crisp and fruit‐driven. Sylvaners are very quaffable. All Pinot varieties show great potential: Pinot Blanc, Pinot Gris and particularly Pinot Noir, with ripe tannins and deep colour. Gewurztraminers had very thick skins and are therefore very aromatic (spicy). Riesling needs the longest period of maturity, and so it took full advantage of the glorious Indian summer. Exceptional climatic conditions in October allowed numerous Vendanges Tardives, and even Sélections de Grains Nobles, to be harvested. The probable total volume of the 2009 vintage, all AOCs combined, should be close to 1 110 000 hl, slightly down (by 2%) on the previous vintage. Stock levels are currently stable year‐on‐year at 1 623 000 hl, and are therefore perfectly in phase with market requirements. From a commercial point of view, sales in bottle of all AOCs combined, for the 12 months ending August 2009, are globally stable. Sales are rising on the French market (up 2.5%) but exports are down by 7%. Alsace wines are riding out the crisis better than other regions, thanks to buoyant sales in France and to a lesser dependence on the export markets that have been hardest hit (the UK and the USA), but also thanks to a fall in white wine production in some other French wine regions in 2008.